A HOMELESS MAN who repeatedly stole bags from passengers at London airports has been sentenced to three years in jail. Juan Carlos Yanez, a 59-year-old of no fixed abode who is originally from Canada, was a frequent traveller to the the UK. Police said that his method of stealing the bags involved travelling to the airport on express trains and London underground with a shoulder bag containing a change of clothing, hats, and glasses so he could change his appearance when captured on CCTV. Yanez would identify passengers flying out of airports – usually women who were travelling alone and who had expensive designer bags. He would wait until they were distracted at the check-in counter or repacking their bags due to excess baggage, and would then steal the bags. 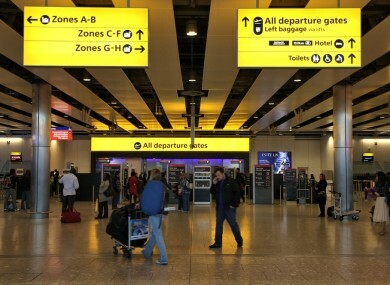 He was arrested in Terminal 4 at Heathrow Airport last month after an investigation by London police which involved a major review of CCTV footage. An image of the then-unidentified Yanez was circulated across Europe and he was identified by authorities in Paris, where he held a conviction for a similar offence. He appeared in court in June charged with eight counts of theft at Heathrow Airport between 2012 and 2014. He pleaded guilty to six of the eight offences and was sentenced to three years in jail on Friday. Three other offences at Gatwick and Stansted Airport were taken into consideration in sentencing. Yanez was also given an ASBO lasting 10 years banning him from all airports in London. Email “Homeless man jailed for 3 years for stealing bags from Heathrow”. Feedback on “Homeless man jailed for 3 years for stealing bags from Heathrow”.